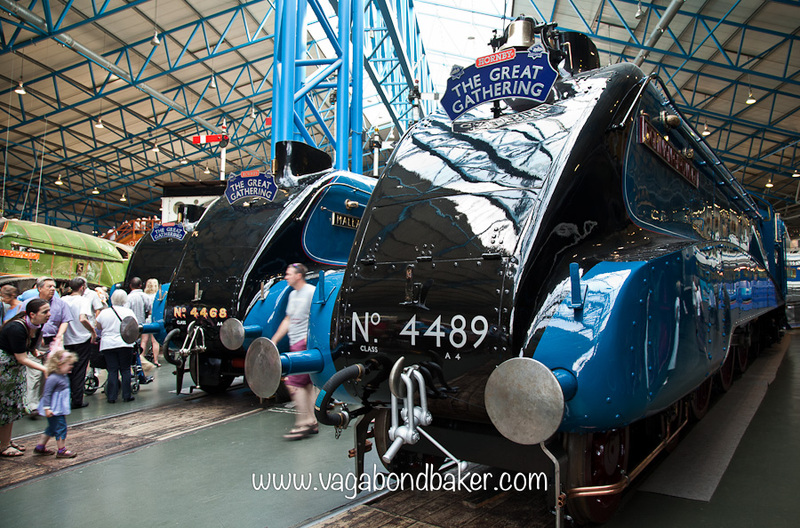 The blue engine in the photo above is the Mallard, 75 years ago this month that sleek machine broke the world speed record for a steam engine, reaching 126 miles per hour. It has never been beaten. 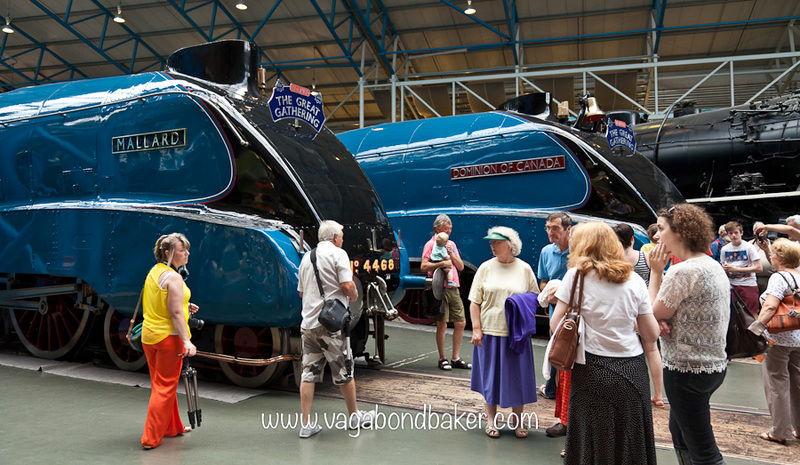 To celebrate this the National Railway Museum in York has gathered the Mallard’s five surviving sister engines and brought them together for all to see. 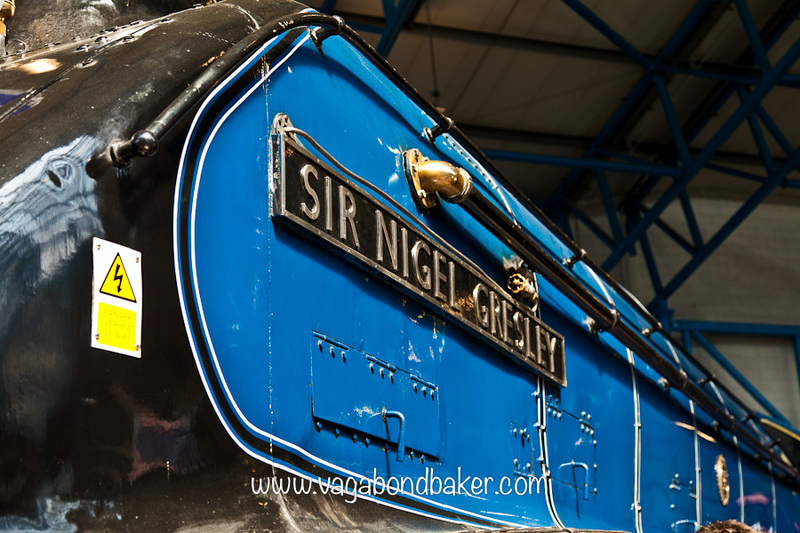 For people who love their trains this is a must-see. Two of the engines have come all the way from Canada and America to stand side by side with their sibling A4 class Locomotives. 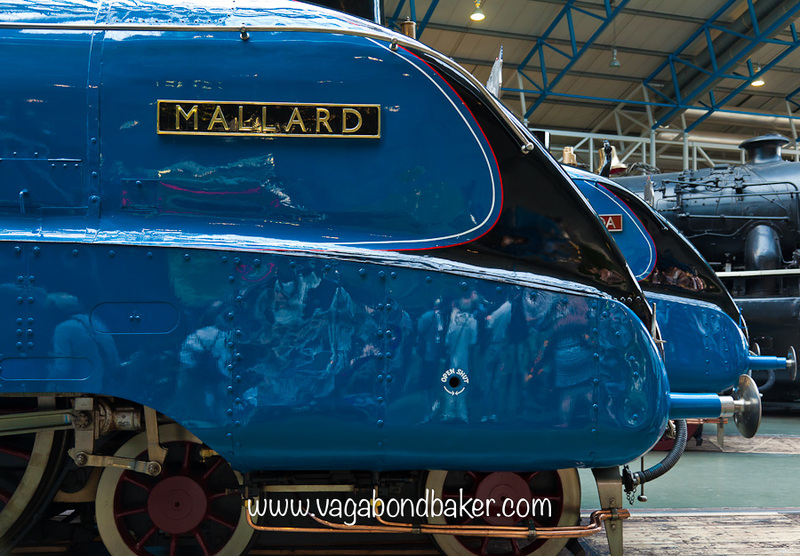 I just had to see it, the Mallard is such a beautiful machine, its design epitomizes Art Deco with its sleek, sweeping lines. This is the first time the six engines have been shown together and it was wonderful to see them. 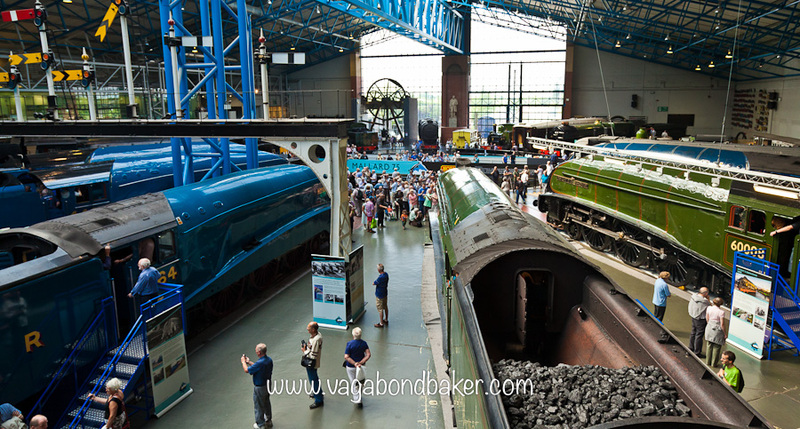 The engines on show alongside the Mallard were the Bittern, Sir Nigel Gresley, Union of South Africa, Dominion of Canada and Dwight D Eisenhower. They can be seen until the 17th July 2013 then again in the autumn. 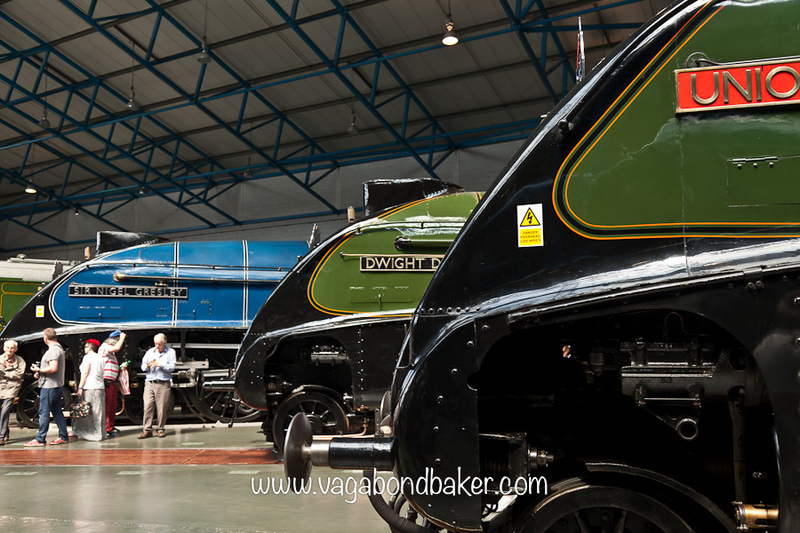 The National Railway Museum is free and there is no charge to see these special engines either. I’m not a train-spotter, neither do I know engine numbers or all the technical stuff. 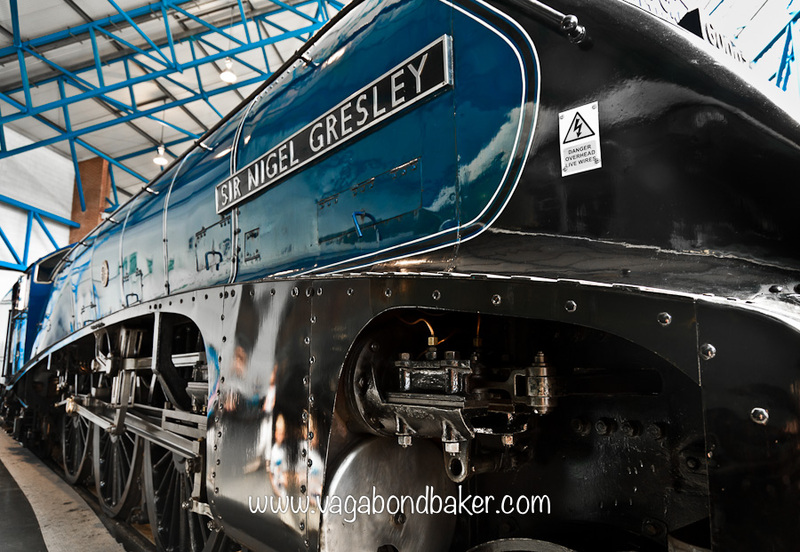 What I do love is to travel by train and I love the design of these locomotives the best of all. 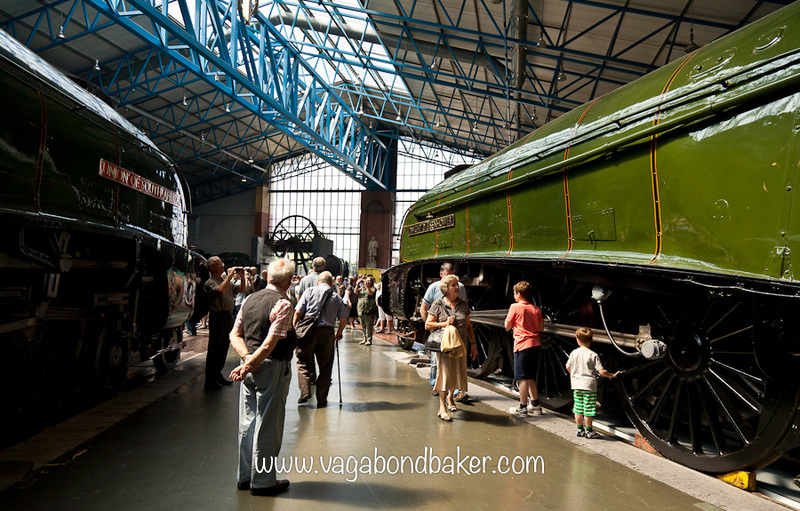 It was a great excuse for a day out in York too, more of that in another post! 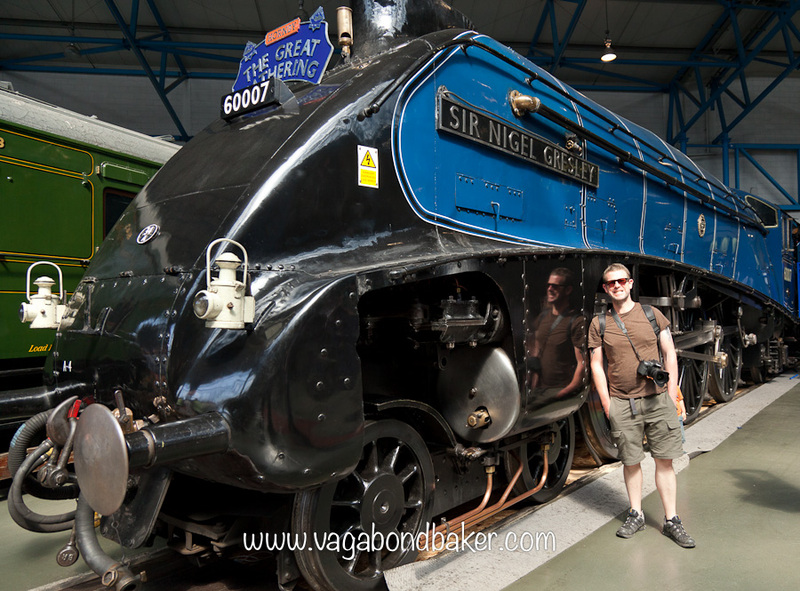 Here’s Mr VB posing in front of the Sir Nigel Gresley, which currently runs on the North York Moors Railway. Gorgeous pics! I especially love the ones with deep dark blue. The engines look like they’re flying down the rails, even when sitting idle! yes, that’s the deco design. They whoosh stood still! I prefer the blue ones to the green ones too. Wish I could whoosh down the rails in one! Those are beautiful examples of machinery. Great to know that they’re still operational too!